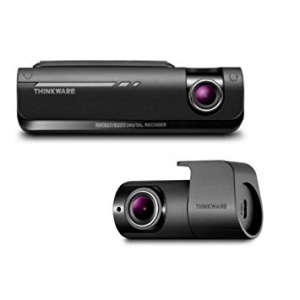 The new flagship camera from Thinkware offers top of the range capabilities. Now the Thinkware system incorporates the new features including ‘Super Night Vision’, a night image correction feature, and ‘Time Lapse’ that dramatically extends the parked recording hours. With dual 1080p Full HD front facing camera and an rear facing 1080p Full HD cameras. With the built-in parking mode, the device stays on even after the ignition is off to provide impact and motion detection surveillance when you are away from your car.